You might have fainted at the summer’s electricity bill as the temperatures rose steadily and air conditioning flickered on almost every hour. The electric bill is one cost you can control to a certain degree. You’ve probably heard all the typical saving-energy tips, from using ceiling fans to shut off unnecessary lights, but there are many other creative ways to save money and help your checkbook feel fuller at the same time. Do you have Electric Choice? Do you have a south-facing window that seems to cook during the summer? Add a tree just outside this window to naturally filter the sunlight. Pick a deciduous type to further enhance the energy savings. Thick foliage blocks the window in summer while bare branches allow sunlight to warm the interior during winter. This area of your yard should be planted with trees that will grow strong and tall. These trees, once mature, will help to keep the sunlight off of your house, effectively cooling it in the most natural way possible. Just be sure that you don’t plant these trees too close to your home so that you aren’t dealing with wandering roots ten years from now. Leaving home with the HVAC system running is a recipe for high electric bills. Stop the worrying and add a WiFi thermostat. These devices work with nearly any system, giving you control of heating and cooling from your WiFi-enabled smartphone, computer or tablet. Program or manually control the system for optimum comfort and low bills. One popular smart thermostat is the Nest. Although that dramatic dark blue or black color for the interior walls is tempting, try to think scientifically. Dark colors absorb light and heat, warming the home with open windows. Light color walls, such as beige or white, reflect the light to maintain a cooler interior. Make it a family affair and ask everyone to paint the walls and ceilings one weekend. You’ll see the difference in next month’s electricity bill. If you haven’t visited the attic in some time, take a trip today to evaluate the walls and ceiling. Bare beams and visible roofs only contribute to whole-house energy loss. Add insulation to any wall and ceiling crevice possible to reap the energy savings. Insulation rolls are easily manipulated into place as a weekend project. You may be more worried about your water bill increasing with leaking faucets, but the electric bill moves skyward as well when it’s heated water. The hot water heater continues to warm the water flowing through the plumbing, making your electric bill a whopper of a charge. Repair sinks, showers, and tubs of all hot water drip to save on both resources. Computers, toaster ovens and other plugged-in devices slowly drain energy from the outlets if you don’t find these vampires quickly. Purchase some surge protectors and add all the offending devices to them. Simply switch off the protector strip when not using the items. Trickle energy adds up quickly when not controlled. Start walking around the house with a caulk gun fully loaded. Look for any cracks or crevices near doors and windows. Fill them as necessary. All of these openings create air passageways for heated and cooled air. Your HVAC system will thank you for the caulking job as it’s less stressed during operation. With all the money you save using these tips, it’s possible to invest in other energy-saving alternatives. From adding solar panels to covering windows in winter with thick drapes, your energy conservation practices will consistently yield cheap electricity bills. Go ahead and splurge on a movie night at home while saving energy simultaneously. You can afford it now. Open windows and fans can be an easy, economical way to cool your home in the summer. While you’ll never cool your house down completely, you can get the temperature down to a comfortable level. In the early morning, open your windows and use window fans. Use one fan at one end of the house to pull in the cool air, and use a fan at the opposite house to blow out the air. This will create a flow of cool, morning air through your home. When the sun begins to heat up, close your windows, trapping the cool air inside. If you have an elderly relative or a room that is difficult to heat or cool naturally, look for a portable heating and cooling unit. These units can easily be moved from room to room, giving you extra heating or cooling where you need it the most. Look for a unit that turns off automatically if it is tipped over, has enough power to heat or cool your space properly, and doesn’t cost hundreds of dollars to run each month. In the winter, install a programmable thermostat if you haven’t done so yet. Keep your thermostat set between 63 and 65 degrees at night and between 65 and 70 degrees during the day. If you are the only one living in your house, you can set the temperature slightly lower if you like. With pets or children, these temperatures are the suggested range. A programmable thermostat allows you to set it and forget it; effectively heating your home without you having to lift a finger. Many utility companies offer free energy audits for their customers. Take advantage of this and sign up for yours today. By having a professional walk through your home and make suggestions for improvement, you can start saving on your utility bills as soon as you follow the professional’s advice. You may need to install new weather-stripping in your windows, fix cracks in your siding, or even repair a door or two. Doing any of these things can help you save on heating and cooling bills by keeping the air inside of your home from leaking out and keeping the air outside of your home where it belongs. Don’t pay an arm and a leg to heat and cool your home; it’s not necessary. By following the tips above, you can easily save hundreds of dollars a year. Spend some time making a few small improvements and you can keep more money in your pocket the next time you pay your electric and gas bills. Have record-setting frigid temperatures as well as higher fuel costs this winter sent your home heating bill soaring? Now is the time to take control by initiating simple energy-efficient ways to save. With a little creativity and a master plan, your heating bills will reflect significant savings soon enough. Before automatically turning up the thermostat on a frigid night, think about alternate ways to keep warm. The following is a sample of some fast, simple, and low-cost ways in which you can reduce your heating bill now, rather than initiating a whole house energy audit. Set the thermostat back 3 degrees all day for an immediate 10 percent reduction. The general rule for substantial savings is to keep it set to a cool 68 degrees. If that seems excessive, consider the possibility of a 3 percent savings for every degree you lower the temperature. Adjust the thermostat down 10 degrees at night or at times when you are not at home, for a 15 percent cost reduction. Buy a low-cost programmable thermostat that adjusts the temperature automatically, followed by a toasty warm greeting when you return home. Installation is a simple task with a cash outlay of about $50.00. Perform furnace maintenance on a regular basis, including yearly cleaning and servicing for safety and smooth operation. Change filters monthly to ensure clean air, and maximum airflow. Inspect and seal off vulnerable areas of the home to prevent air leaks and continuous loss of heat to the cold outside. Caulking and weatherproofing windows, air ducts, doors, and insulating attics may save 10-30 percent each month. Refer to your local window company about energy efficient windows for further long-term cost savings. Keep storm windows, doors, and garages closed. Some experts recommend you open all curtains and shades wide for full exposure to the sun’s warmth during the day and close them in the evening for even more savings. Use bathroom and kitchen ventilation fans only when necessary, as prolonged use will drain an enormous amount of heat from the home. First, rather than turning up the heat as soon as you walk in the door, train yourself and family members to keep slippers and a sweatshirt nearby. Update your blankets to a cozy down fill for extra warmth. The trick is to train your mind to accept the reality of exorbitant heating costs and take control. Just do it, and watch the savings grow on your next heating bill! “Electric choice” is the option to choose the company that generates and delivers the electricity you consume. Electric choice means the option to save money if you select an electric generation supplier that offers a lower price than your local utility company. There are some important things to know when comparing suppliers. Before trying to find a new electricity provider, you should check to make sure deregulation has happened in your area. Even if deregulation has been approved by your state, your county may not have providers available. Your local city hall will have that information available to you. Although it may be tempting to jump at the first lower offer you see, take the time to compare rates from several companies. If you take the time to do your research before committing to a new provider, you can avoid surprises later on. A posted rate from a provider may not be the rate you will pay for your electricity needs. Some companies use smart meters and the lowest rate applies only during non-peak hours, and some companies offer a slightly higher rate to remove time-of-day restrictions. Choose the option that would serve your family’s needs most efficiently. Some electricity suppliers are generating “green energy” rather than the energy created from non-renewable resources such as coal. Green energy is derived from sources such as windmills and solar generators and may be a consideration if you are environmentally conscious. Alternatively, there are companies that use both sources for electricity generation and also contribute large sums of money towards building renewable electricity sources. Choosing your electricity provider based on rates and type of energy alone is not enough. Research the provider’s company to ensure they have ample electricity supply and a stable business presence. Many small electricity providers have faced bankruptcy because they did not purchase enough supply in advance to service their clients, and had to purchase electricity at higher rates to fulfill their contracts. A company like Electric.com that is traded on the stock markets and has a strong company portfolio would be a wiser choice. An approachable customer service department is essential when making your choice of a new electricity supplier. If you have questions about your billing you need to know you can contact the customer service department quickly and easily to get answers. Be sure to go over the fine print and details before signing a contract with an electricity supplier. Make sure you know the duration of the contract and ensure your rates will not increase during the contract period. Verify and consider any fees that may be involved when you open your new account. 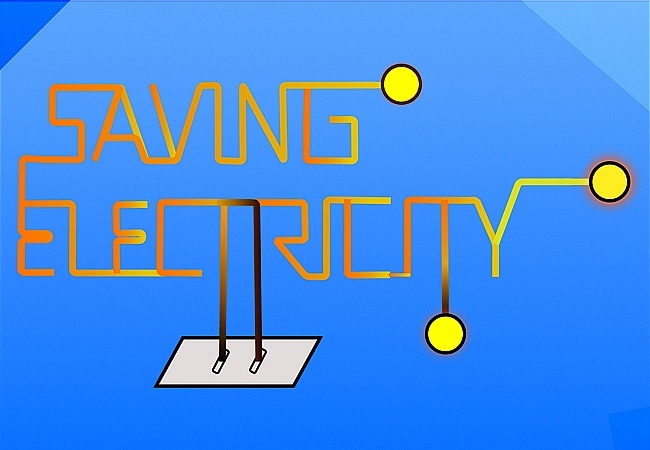 The electric choice may be an opportunity to save money on your electricity costs if you choose the right company that will generate and supply the electricity you consume. Using these tips will ensure you are able to make the appropriate choice to start saving money now.